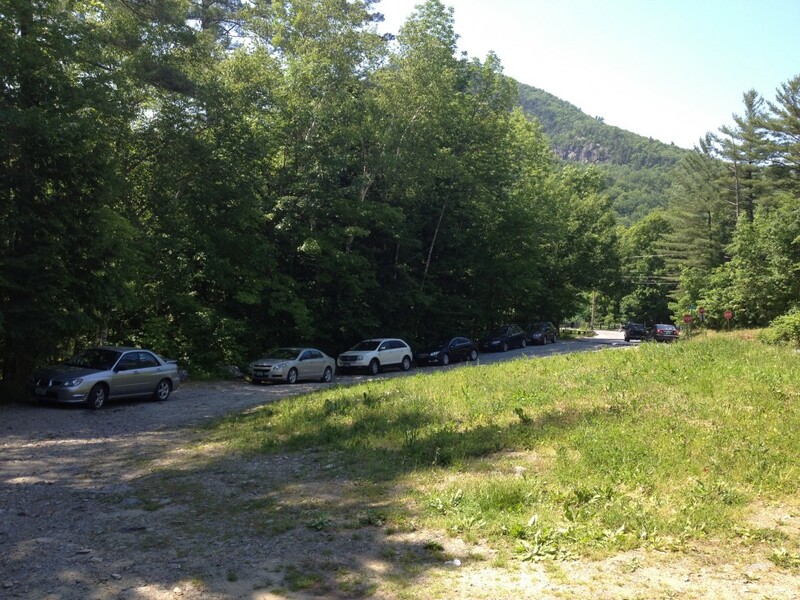 Bristol Falls; Bristol, VT - Take a day trip! 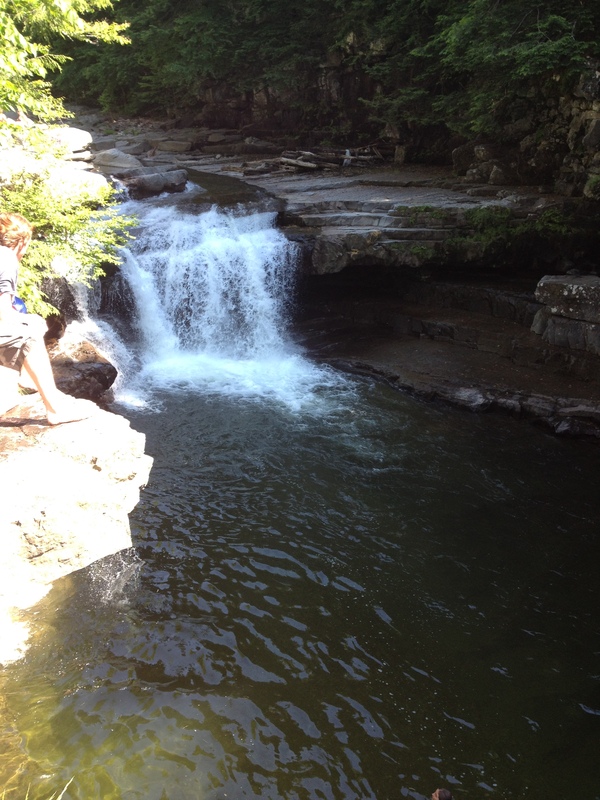 It all started with a hike..
Bristol Falls is a delightful swimming hole just outside of Bristol Vermont. It’s a lovely combination of waterfalls, a couple nice pools and other spots that you can enjoy along with a couple natural water-slides. There are also a couple nice areas you can relax on rocks and picnic and some gentle pools that are OK for little kids. The upper area just below the main falls has a large pool that you can swim in and a ledge that makes for a great place to take a flying leap into the water. Facilities, fees and other information: There aren’t any facilities at Bristol Falls beyond a parking area. 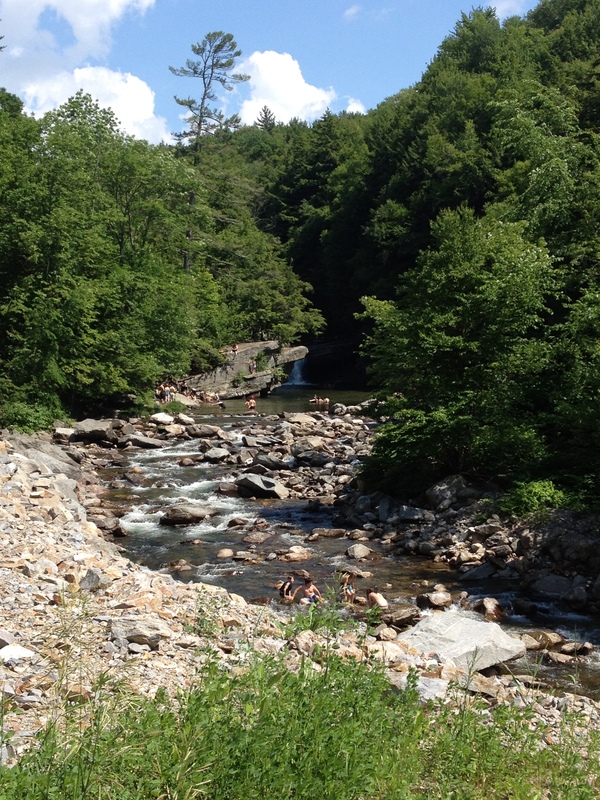 However, Downtown Bristol is only two miles down Routes 17 and 116 and there are lots of great local restaurants, cafes and stores that should have everything you’d need before or after a few hours enjoying the waters of Bristol Falls. Go, Enjoy Where You Live! Fun with kids at Chip In farm!! The joy of taking a vacation in the off season. Enjoying the home stretch of summer vacation.